According to recent industry reports, 156 mn. of Indians who comprise the ‘urban mass’ and urban middle’ section representing an annual income of USD 3000 and above have the potential of mass adoption of consumer credit. Of this the ‘urban mass’ constituting approximately 129 mn. have been mostly deprived of credit due to lack of credit history. Addressing this major concern, CASHe, India’s leading digital lending company, promoted by serial entrepreneur and private equity investor Mr. V. Raman Kumar, today announced the launch of India’s first alternate credit rating system – ‘The Social Loan Quotient’(SLQ). 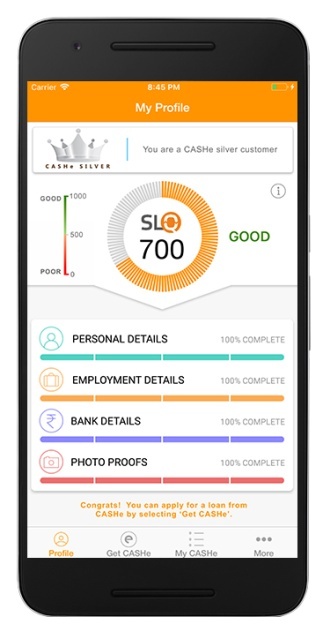 India’s first social behaviour-based credit-rating system, SLQ is a fast, unique and a path-breaking real time platform which leverages big data analytics, artificial intelligence and predictive tools. The innovative platform will help score millions of Indians, who otherwise have been left in the lurch for lack of consumer credit in the absence of credit history. Considering the young urban mass prefer to avail small ticket loans for short term, the existing traditional lending platforms such as banks and NBFCs’ find it unviable to serve the segment. In addition, the lack of credit history further dampens the situation. Here SLQ will play a pivotal role in helping this large untapped population to avail credit on the basis of the score generated by the system. Soon, the platform will also be set open to other institutions (banks, NBFCs’ and credit bureaus) to integrate and avail the system thereby helping them reach out to the masses. 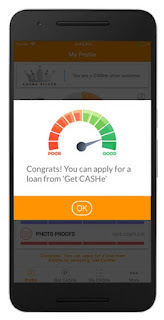 Unlike conventional lending agencies who rely only on an applicant’s past financial transactions, CASHe’s revolutionary approach links multiple online and offline data points like his mobile, social and media footprint, education, remuneration, career and financial history to calculate the borrower’s credit score. There are millions across the country who have never obtained a bank loan, however, they are internet users who shop on line, have a good social media presence, have a stable residential status and also have been using their mobile phones actively. SLQ will now use these factors or data points into consideration when assessing a customer’s creditworthiness. The platform will analyze unstructured data from various sources – social media profiles, mobile data, KYC documents – to provide the users with a system that will instantaneously and continuously update a borrower’s credit worthiness and insure sound underwriting. 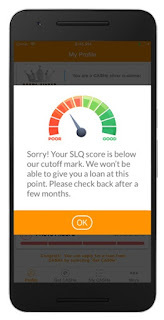 The scores are generated in REAL TIME and will enable the customer to know, within a few seconds, if he qualifies for a loan with CASHe or not. 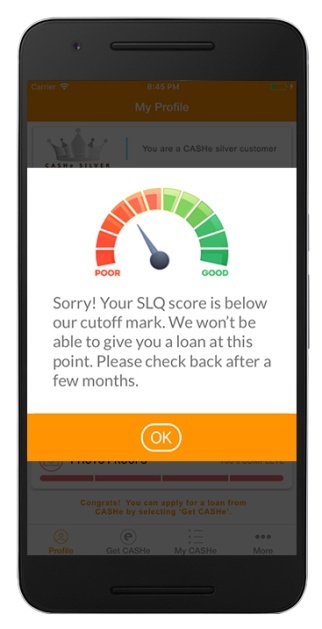 Subsequently, on completion of the loan application process, every customer’s personal SLQ score will now be displayed to him. This will provide the user with a reliable tool for accessing his/her creditworthiness. With more than 2 million downloads, 180,000 customers, 480 cr. loan disbursals, 30,000 loans processed in a month, over 1000 loan applications in a day and 75% repeat customers CASHe has amassed a huge wealth of data encompassing rich customer information which can be potentially analyzed for credit behaviour.